It seemed this day was always way off in the future, but it’s true; graduation is almost here. 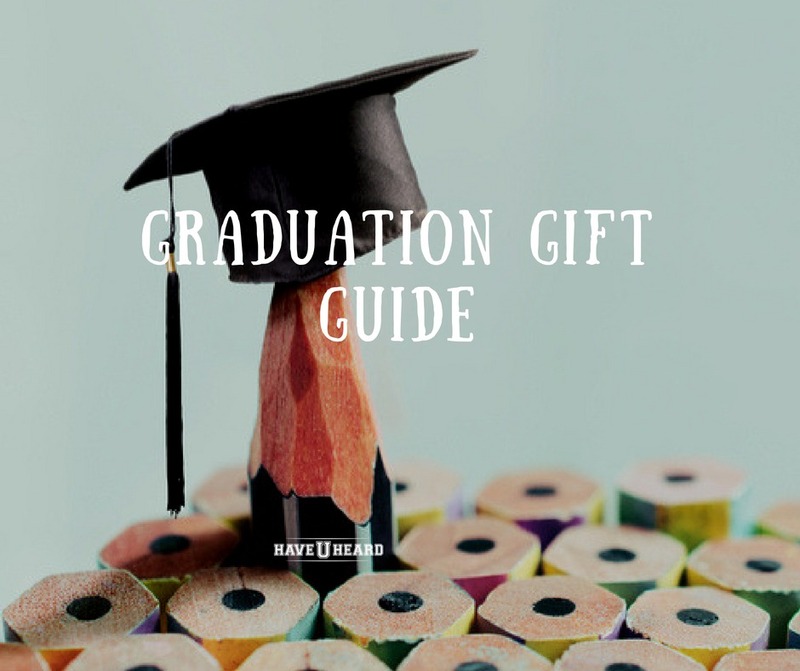 Many people, including Aunt Sadie, will be asking what good gifts for college graduates are these days; so HaveUHeard pulled together a list of the most requested graduation gifts according to our very unscientific college student survey. 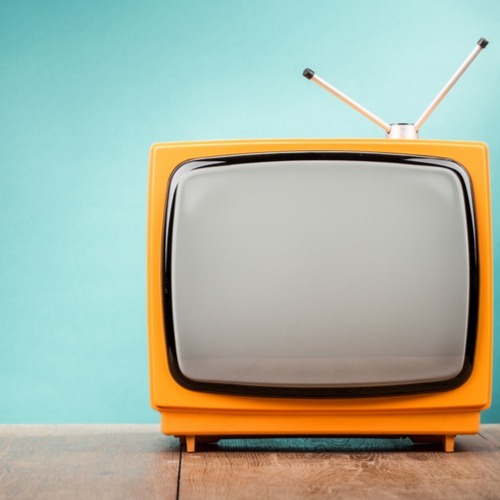 TV– One of the most requested items by students as many of them will actually be moving into their own apartments and can no longer share with their roommate or the family. Look at some of the Smart TV’s. They have come down significantly in price. Check out Best Buy, Walmart, and Target, for some great discounts. Apple Watch – This watch keeps track of time (of course, its a watch) but also keeps track of their fitness routines, tracks sleep and lets them access their texts, calendar, music and whatever other apps they choose to have on the watch. I bought my daughters the Apple 3 instead of the Apple 4 and saved some money by purchasing a level down model. You can also grab different bands so they can change up their look to go with their outfit or their mood. We like Best Buy, Target, Walmart or Amazon (unless heading to the Apple store). Fitbit Versa – It isn’t just about staying in shape anymore. My daughters challenge themselves, competing against each other or s with friends, keep track of their fitness routines, and even tracks their sleep. Being out in the real world can be stressful, and now their watch (rather than you) can remind them through notifications to exercise. The Fitbit ionic works with Bluetooth headphones and stores and plays music – perfect for when they head to the gym or are out for a run. We like Best Buy and Target. Amazon’s Alexa Dot – This is one of my favorites. It is affordable, acts as a speaker, can make phone calls, keep track of a shopping list, answer a multitude of questions, etc. We rarely get dressed anymore before asking Alexa for the weather. Occasionally sales come up on Amazon and when they do I usually jump on it and buy a few at a time. Google Home or Google Mini – Google Home Mini is powered by the Google Assistant, so you can ask it questions and tell it to do things. Once they graduate and are living on their own, hopefully, will use this to call Mom and Dad. Wireless Headphones – Whether they are at the gym or calling home while cleaning their new apartment (ok, a mom can dream), good headphones are appreciated. Here are some of their favorites. This is the most requested audio brands for headphones, earphones, and speakers and also one of the most in-demand items by our student panels. Best Buy, Walmart, and Target all sell this brand. Bose Headphones and Earbuds – Bose is known for their sound systems. Check these out at Walmart, Amazon and Best Buy. 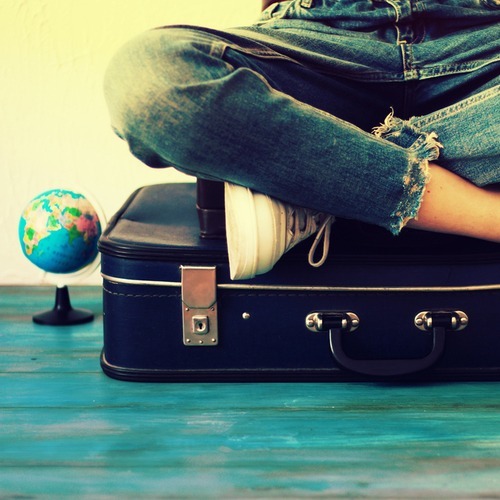 Many students are going to head overseas before they venture into the real world. Suitcases or travel backpacks for that European adventure (or wherever they may be planning to travel) are always appreciated. There are all sorts of bags to make travel lighter and organized. Check out ebags.com; they’ve got it all. You’ll also find a nice selection of computer bags and briefcases for the new career. Backpacks – One of the more popular brands right now is from Herschel Supply Co. Check out Bloomingdales, Nordstrom, and Urban Outfitters. Their backpacks are sturdy and simple and will transition right into their adult life. Travel journal- Many students go on big trips after college before they start the real world and many of them want to record every last detail. A beautiful journal can be a keepsake they will look back on for many years to come. My daughter definitely looks back at her travel journal even over a year out to recreate those memories on her own personal website. You can find some really trendy ones at Nordstrom (my daughter loves), Urban Outfitters, Target, Nordstrom Rack, and Amazon. Wardrobe – Help grads spice up their wardrobe from student casual to working professional by giving a gift card to a store that sells clothes along these lines. You may even want to remind them that some stores even give discounts with a college ID, which they still have. (See our blog about where to find these discounts here.) Nordstrom, Bloomingdales, Macy’s, TJ Maxx, Kohl’s have a large variety and price ranges. A Coffee Maker – My family is partial to Nespresso, but Keurig is popular too. You may want to throw in a good tumbler for coffee on the go. Chances are Starbucks won’t fit into their new budget so a coffee maker (with a timer, so it is ready when they are heading out the door) is a great idea. Check out Bed, Bath and Beyond, Target, Walmart, Macy’s or Bloomingdales. Crock Pot – They may have gotten a bad rap on This Is Us, but the truth is they can make meal prep pretty easy for those that are starting new careers and won’t have much time to cook after a long day at work. Check out Bed, Bath and Beyond, Target, Walmart, and Macy’s. Instant Pot – These pressure cookers became instantly popular for cooking food faster. Diploma Frame – They earned it; now help them display it. I proudly have my UF diploma hanging in my office. Check Etsy, FansEdge, Walmart, Wayfair. They have customized school diploma/tassel frames. This one also has room for the photo of them receiving their diploma, the diploma, and tassel. 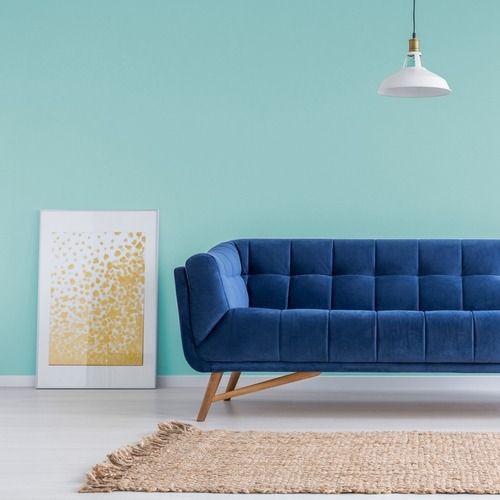 Furniture – Although I am sure their college digs were great, this is their first “new home.” Something from Etsy or Wayfair is a great way to start. Seriously, my oldest daughter furnished most of her apartment through Wayfair. She also picked up some great decor from Etsy, Urban Outfitters, and Nordstrom. Replacement sheets and towels – If they are anything like my son’s; you probably want to deposit them in the trash on your way to graduation…seriously. Most of the department and big box stores will have these. I like Macy’s, Target, TJ Maxx, Bed, Bath & Beyond, and JCPenney simply for the value. Kitchen – Again, if they are setting up a new home, they may be looking for dinnerware, kitchen utensils, and pots and pans. I gave my daughter some of my stash (after 30 years of running a home, I had plenty to share) Checkout Wayfair, Hayneedle, Target, Macy’s, TJ Maxx and Walmart. Wall Decor – When my daughter was setting up her first apartment, she turned to Pinterest for ideas and created a really cool wall decor collection. Some of the places she purchased from included Etsy, Wayfair (where she also purchased a cocktail table) and surprisingly Home Depot. Amazon – I admit it, I buy just about everything on Amazon. It is easy and convenient and if you have Prime, it is even easier and more convenient. An Amazon gift card gets the grad just about anything they may need for their new home, a new wardrobe or travel plans. Gym membership – Welcome to the real world where there is no gym on campus. Graduates who value their fitness routines will greatly appreciate a gym membership near their new home. Entertainment Subscriptions/Devices – Music or TV Streaming Service – Netflix/HBO/Hulu/Apple TV/Roku/Amazon Fire TV Stick subscription – Cable can get expensive, but graduates are still going to want access to the best music, movies, and TV shows. Getting them a subscription to any of these services or purchasing one of these devices makes it possible to watch anything instantly on their TV. Meal Kit Membership – My daughter is still navigating living on her own. As a young professional, she works long hours and oftentimes gets home late from work. She doesn’t have a lot of time to cook and oftentimes just picks up food from a local restaurant. These meal kits are a great alternative. Read our blog on Meal Services for some great reviews and savings for Chef’d, Hello Fresh, Plated, and Blue Apron. Cookbook – Following along those lines, if they are going to buy groceries and cook, our interns all said they would love a Cookbook. My first cookbook was Better Homes & Gardens New Cookbook, but there are so many great chefs with their own cookbooks that will fit the eating styles of your student, who hopefully has learned to cook more than pasta and grilled cheese while away at college. Check out the collections at BarnesandNoble.com, Walmart, Amazon, and Target. 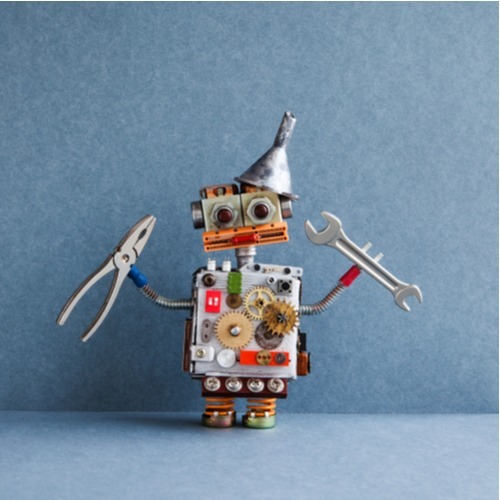 Toolkit – If I have taught my daughters one thing, it is to use YouTube or Google to figure out how to fix broken items or even put together bookcases and shelving. I sent them to college with a small tool kit that was more feminine but did the trick. Wayfair, Target, and Home Depot are a few great places to pick up tools in pink or, for the guys, in red and black. A lot of places offer free shipping these days. And there are always coupons; who doesn’t like coupons? I’m sure I am not the only one with a coveted stash of Bed, Bath and Beyond coupons. I am also a fan of Ebates and Honey (that helps you find coupon codes). Happy shopping and congratulations on those graduations!